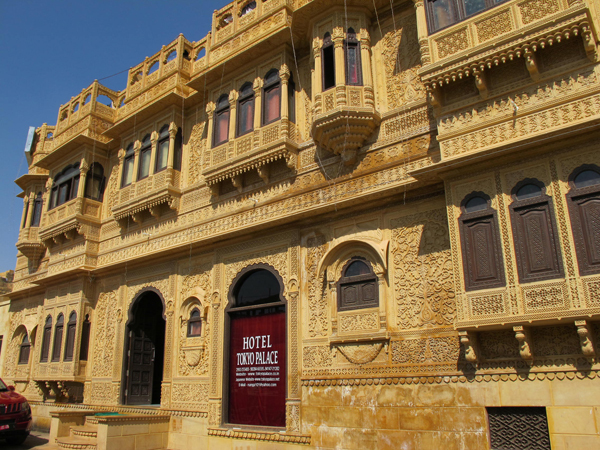 HOTEL TOKYO PALACE is a gorgeous but reasonable bed and breakfast hotel opened in 2010 in Jaisalmer, the ”Living Musiem” city of West-end of Rajasthan, India. 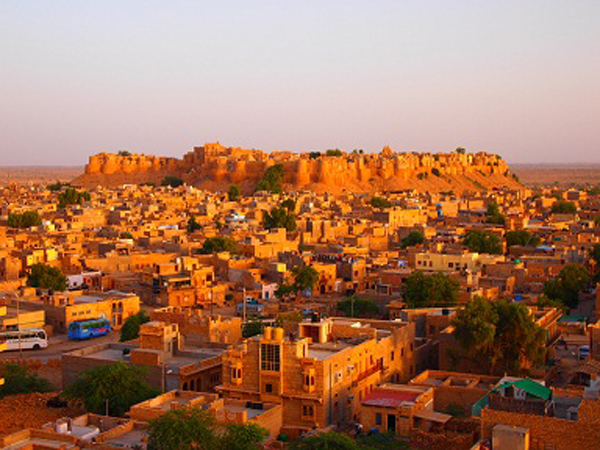 Jaisalmer is one of the acient prosperous city receiving benefits from camel caravan, Middle Ages land route trade. The city keeps the last remaining fort where people are still living. Our hotel locate just 5 minutes waking distance to south-side of the fort and the main market. And only 1 hour route distance to Thar Desert (Great Indian Dessert) where we can enjoy the Camel Safari. 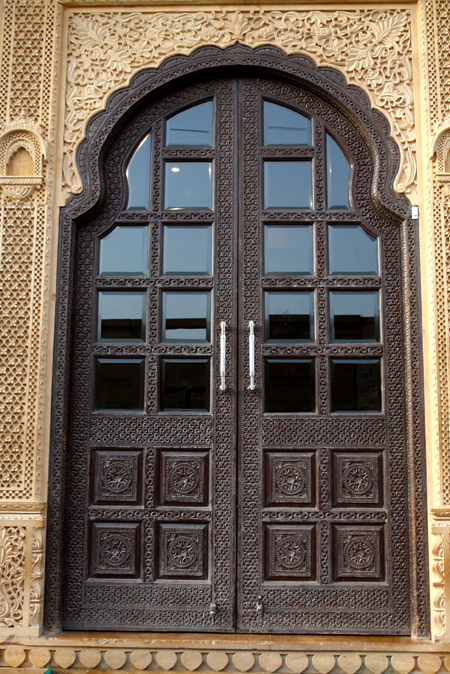 The hotel facade was made by Golden marble, which exists only in Jaisalmer, with traditional engraving. The gorgeous design was inspired by ”HAVELI” (a house of ancient jaisalmer millionaire merchants) and the delicate workmanship had taken over two years. The owner, Mathar Khan, has been working in Tokyo as a manager of Indian restaurant Bombay Palace（http://www.bombaypalace.jp/). His rich experiences in Japan give the hotel high and warm-hearted services. Mathar and Nanga was born in Jaisaimer desert. They starts this hotel in 2010 for giving a familial and warm services to the tourists to Jaisalmer. They communicate by mainly Hindi and English but Mathar also by Japanese, a little French, Spanish, Italian, German and Korean! You will surely be able to feel their hospitality as if you were a member of their familly. YOU ARE ALWAYS WELCOME TO OUR HOTEL! copyright (C) 2011 Hotel Tokyo Place All rights reserved.